The B-LOC B400 Series 1-1/4” Keyless Bushing provides a high capacity, zero-backlash shaft to hub connection for shafts measuring 1-1/4” in diameter by means of a mechanical interference fit and transmits up to a maximum of 586 ft lbs of torque. 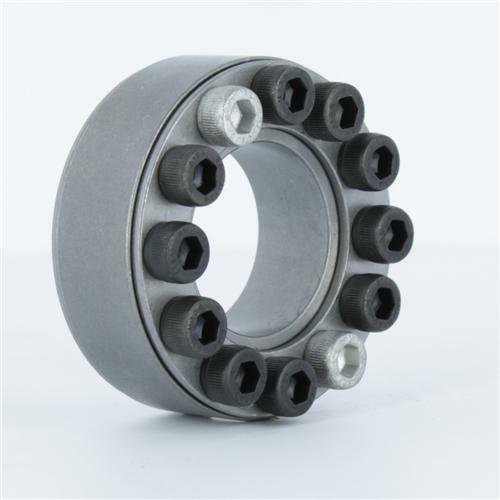 Best Suited For: Applications that require a recessed installation of the bushing with no axial movement of the mounted component relative to the shaft during tightening. 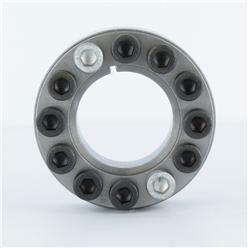 B-LOC B400 Series 1-1/4” Keyless Bushings provide a zero-backlash frictional connection that will never wear or pound out and can accommodate high-torque, thrust, bending, and/or radial loads. Their self-releasing double taper design permits simple adjustment and removal and there is no axial movement during installation. Since the B-LOC B400 Series Keyless Bushings do not have a flange, the external diameter along the unit’s entire length is the same, therefore allowing the unit to be completely inserted into the component bore for flushed or recessed mounting. Note: This product is not self-centering but Fenner Drives offers pilot bushings that provide pre-centering when required. 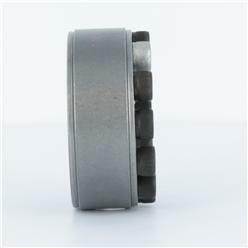 The pilot bushings are supplied in sets of three (3) bushings and three (3) longer screws (replace plated locking screws).